As you may know this is a novella that was part of the Team Player Anthology. For those of you who have read it, there's no need to read it again because unfortunately it has no new content. I was really hoping it would because I wanted more of everything with these two. And for those of you who haven't read it, then please do because it is so good! 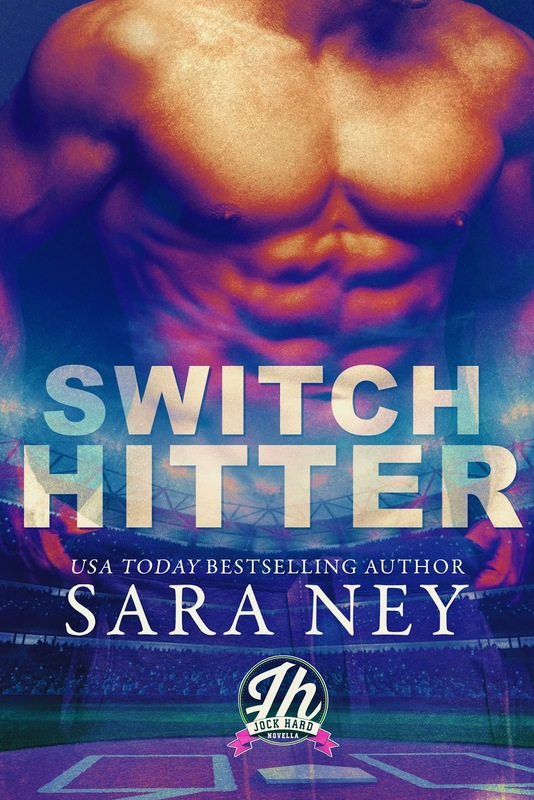 I really freaking enjoyed Switch Hitter, the first and the second time I read it!! It was so much fun, and cute and damn that last chapter.. The gist of the story is there are twin sisters, who are almost complete opposites of one another. Lucy who is a shallow girl, self centered and a player. Lucy finds herself having two dates on the same day at the same time so she asks her twin sister Amelia to pretend to be her and go to a date with Dante Amado, a Latino baseball player. Amelia is a much more chill girl, she's not always talking about herself, she's not in your face all the time, she cares about people and genuinely wants to know a person and she doesn't make it a habit of being half naked all the time. This Lucy isn’t just a pretty face. This Lucy isn’t just a grasping jock chaser. This Lucy has layers. This version fascinates me more than the two versions that came before her. What Amelia didn't count on while helping her sister was to actually like the guy so much, the guy who was going out with her sister. But she does, they instantly have a connection and it's not just the attraction between these two, it's genuine interest which perplexes Dash a bit because Lucy had been nothing but a barbie on their previous dates. Dash changes his opinion of Lucy on this date and he actually wants to date her, only it's not Lucy he actually wants to date, it's Amelia. However, the real Lucy wants nothing to do with him anymore, so she decides to break up with him and once again Amelia is left doing that for her sister. On that break-up date, Dash find even more differences between the girl he went out with at first and the girl he has been going out with now, so when she breaks up with him, he looks her up on Instagram and finds out there are in fact two girls and that the girl who just broke up with him was definitely not Lucy and he wants to keep seeing her. To find out what Dante's move will be to get the right girl to go out with him, pick it up!